Volvo pod performance is backed by range and comfort. 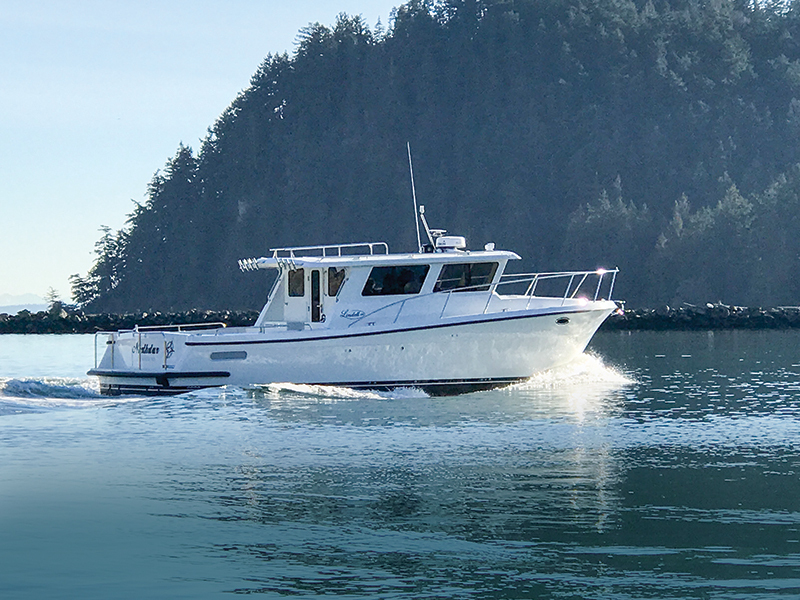 If one’s first look at the Lindell Navigator 42 leads to the conclusion that the boat would be a good platform for catching fish, that shouldn’t come as a surprise. 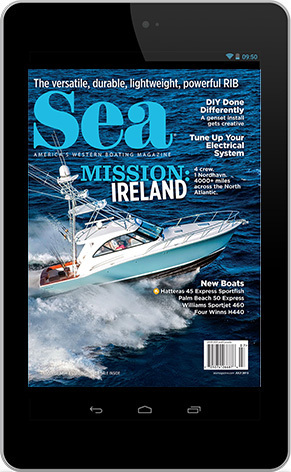 Company owner Jim Lindell worked as a commercial fisherman in Alaska, where, according to company literature, he saw poorly built gillnetter boats and thought he could do better. So he did. And people responded. Now, after forays with different boat styles and partners, Lindell, with business partner Brian Kott, is building under his own badge, with two models: Offshore 35 and Navigator 42. With a fiberglass hull vacuum infused with vinylester resin, the Navigator 42 is light and strong, for withstanding offshore conditions and zipping from island to island. Volvo Penta power — either twin IPS 500 or 600 — pushes the 42 to a top speed of 42 mph, and the pod drives deliver at-speed control and around-the-dock precision. A comfortable 30 mph cruise speed yields about 1.3 mpg, for a range of more than 500 miles. The main cabin includes a dining settee to port, a galley to starboard and an oversized captain’s seat facing a helm station that features a Garmin MFD and puts everything close at hand, including the Volvo joystick and Fusion stereo head. The cockpit provides about 182 square feet of fish-fighting room, which is good, because the fish hold can accommodate up to 6,000 pounds — a helluva lot of halibut. 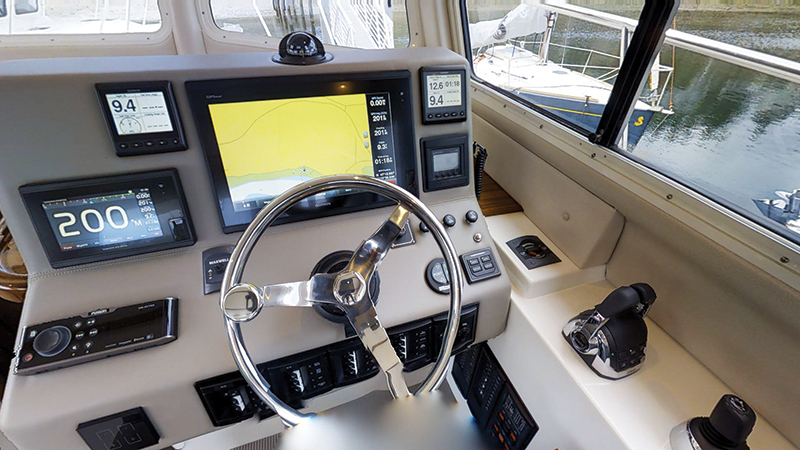 A second set of engine controls, including a joystick, is built into the starboard-side console, and an MFD lowers from the hardtop, so operating the boat during fishing time and docking are easy from the cockpit. Belowdecks are two staterooms and a head. The owner’s berth is in the bow and includes a queen bed, a hanging locker, cabinets and storage under the island berth. The second cabin, also with a queen, is tucked under the helm and forward portion of the settee. 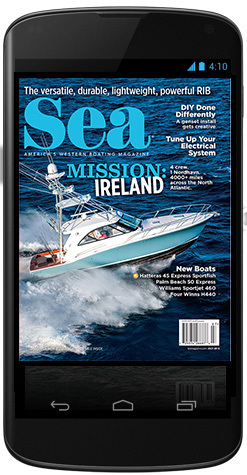 Lindell calls the Navigator 42 a sport utility vessel, and it can easily accommodate an all-day fishing outing or a weekend run to a quiet anchorage or a bustling island. Given Lindell’s past as a fisherman in Alaska, it’s probably a safe bet the 42 is overbuilt for either. 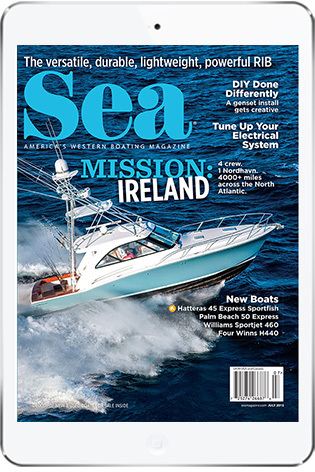 This entry was posted in Snapshot, New Boats and tagged lindell yachts, new boats, fishing boat, volvo penta, pod drives by Stephanie Shibata. Bookmark the permalink.